Why Does My Water Leave Spots On Everything? 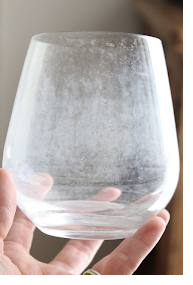 Those are actually hard water spots caused from calcium that is in your water supply. This is commonly know as “hard water”. The most common way to reduce the hardness/calcium in the water supply is to install a water softener on the incoming water supply to eliminate the calcium in the water. If you already have a softener and you see this happening it may be time for service. Contact Hydro Solutions today to find out how we can help eliminate those pesky spots!